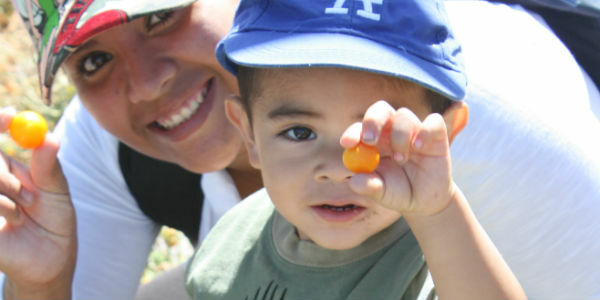 A few weeks ago, a group of Early Head Start kids and their families came to visit us at the farm. On their tour, wee hands harvested tomatoes, dug potatoes, and giggled at the antics of the piglets. We’ve been packing CSA boxes for local Head Start programs for a few years now, and we’re so happy to be a part of this community so dedicated to the healthy development of young children. I know a farmer and his daughters who refer to responsibly-raised, unprocessed, seasonal, local farm food as “normal food”; and what we typically label as conventional food they call “the other stuff.” What an idea right? A generation of little ones whose norm is veggies, fruit, grains, milk, eggs, and meat from a farmer or gardener they know (maybe themselves) – that’s what I’m holding in my heart.